Provide comfort for the family of Edward Hobbs with a meaningful gesture of sympathy. Edward Franklin Hobbs, 83, passed peacefully while surrounded by family on March 13, 2019 at a Bangor hospital. He was born on December 8, 1935 in Dover-Foxcroft, ME, the son of Archie and Thelma (Jenkins) Hobbs. Edward worked for the Bangor and Aroostook Railroad Co. where he learned his trade of welding. watching sports and westerns on TV. He will be remembered for his wit and kind spirit. 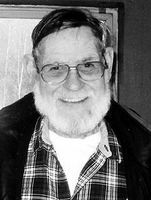 Edward leaves behind his eight children: son, Jeffrey Hobbs of Dover-Foxcroft; daughters, Joyce Patterson and husband Bill of Dexter; Pamela Bissonnette and husband George of Shelburne, VT; Deborah Donovan and husband Kevin of St. Petersburg, FL; son, Edward Hobbs of Parkman; son, Andrew Hobbs and wife Susan of St. Petersburg, FL; daughter, Lorinda and husband David of York, PA; son, Kenneth Hobbs and wife Stephanie of Clearwater, FL. He is also survived by a brother, Richard Hobbs; twenty-two grandchildren, thirty-two great-grandchildren, one great-great grandchild, several cousins, nieces and nephews. He was predeceased by his wife, JoAnne; a brother, Arthur Hobbs; a grandson, Lenny Bissonnette; and a granddaughter, Rachel Ruth. Condolences to the family may be expressed at www.Memorial-Alternatives.com. To send flowers in memory of Edward Franklin Hobbs, please visit our Heartfelt Sympathies Store. Provide comfort for the family of Edward Franklin Hobbs by sending flowers. Remembering your family and my family's trip to Disney. Thoughts and prayers are with you all. Love, Jim and Eileen (Hughes) Herring.